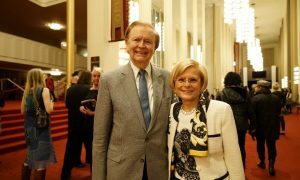 NORTHRIDGE, Calif.—Shen Yun Performing Arts World Company brought a taste of the rich 5,000-year history of genuine Chinese culture to the Valley Performing Arts Center on Jan. 28. “The whole show is a visual feast,” said audience member Deborah Spera, a television producer. Mrs. Spera is co-founder of One-Two Punch Productions and former president of Mark Gordon Company TV. She was involved in the production of television shows Army Wives, Criminal Minds, and Grey’s Anatomy and Emmy and Golden Globe Award–winning movies. 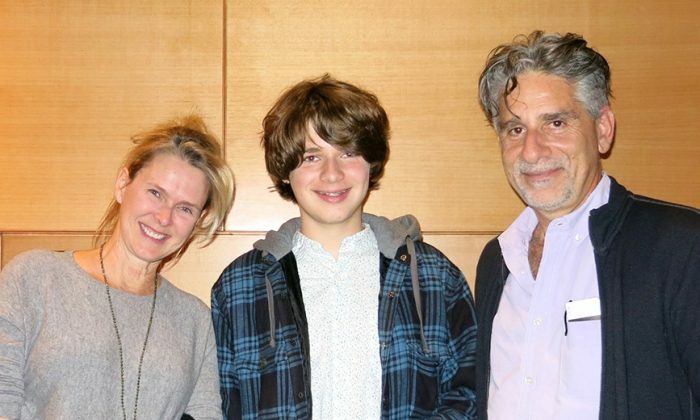 Mrs. Spera and her husband and son all attended Shen Yun together on Wednesday evening. 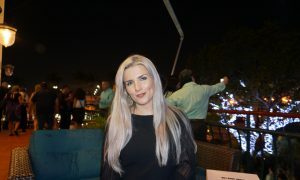 “It’s really exciting,” said Mrs. Spera’s husband, Robert Spera, who is a film and television director. 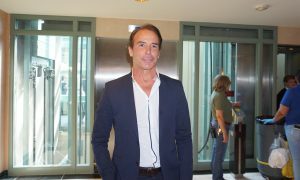 He also worked on television shows. He served four seasons as Resident Director at the Tony award-winning Actors Theatre of Louisville, directing over seventy-five productions. As a producer, Mrs. Spera noticed the level of difficulty of the stage production. “The visual effects are amazing!” she said. 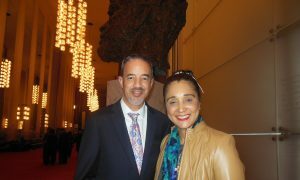 She said Shen Yun’s classical Chinese dancers were extraordinary and the music was also beautiful and very soothing. 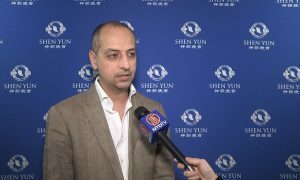 “Many of the tales and characters depicted in Shen Yun dances draw inspiration from ancient records and classics. Based on documented historical events, these stories give abstract ideas—like loyalty, filial piety, selflessness, and tolerance—a concrete form,” says the Shen Yun website. The values presented in the show were very “helpful, warm, and encouraging,” said Mr. Spera. The family encouraged others to come see the show and definitely not miss it. 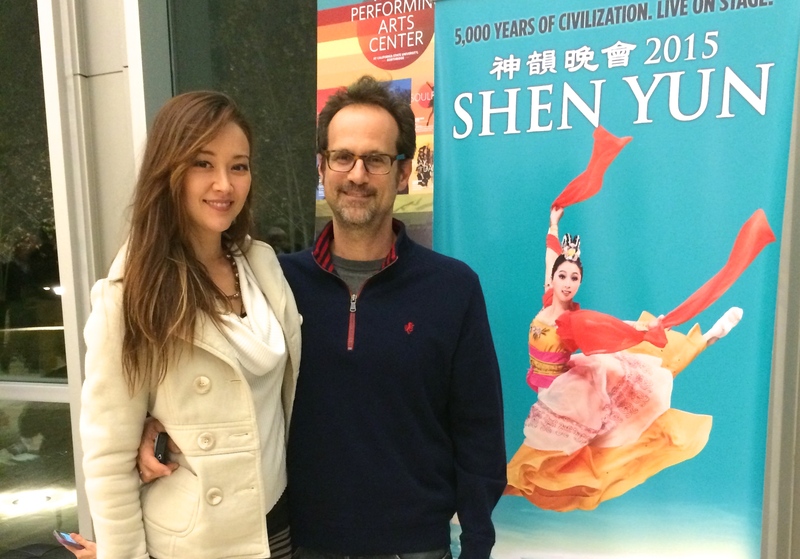 Actor and musician Ken Weiler and his fiancé Monica Ferroe, an artist, loved Shen Yun and praised its performers. Ken Weiler is a guitar player for the band The Four Postman. He also teaches acting at the Elizabeth Mestnik Acting Studio in Hollywood and is a part-time faculty member at California State University, Northridge. 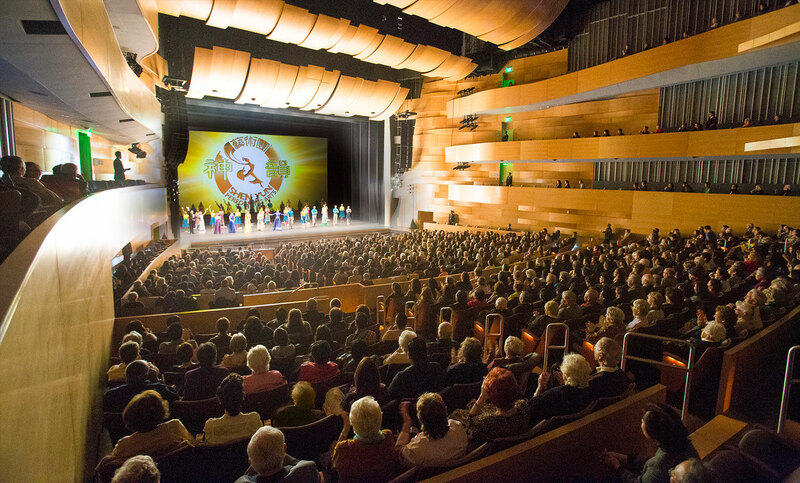 Shen Yun left Mr. Weiler with many feelings and impressions to inspire his creativity. Ms. Ferroe said a friend had told her Shen Yun was amazing, and now she agrees. She said they would recommend the show to others. 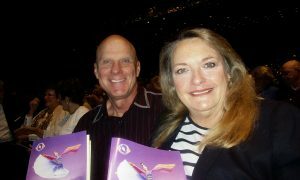 Audience member Greg Rollins, a retired electronics repair technician, was deeply touched by the Shen Yun performance. He said the message of traditional Chinese values such as compassion for one’s fellow man is enduring, and its time has come. Mr. Rollins was especially struck by the ancient and modern tales of good versus evil depicted in the program, and the strength of the characters to overcome adversity and fulfill their destiny. 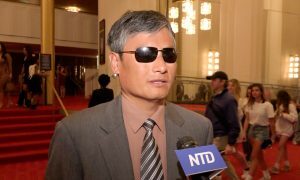 He commented on a dance piece in which practitioners of a spiritual meditation practice called Falun Gong are peacefully helping others, only to be beaten by police. The practitioners then turn around and help a police officer who gets hurt. This mirrors the current situation in modern China, which is the only place in the world where Falun Gong practitioners are arrested and often tortured for their beliefs. Rollins also thought the music of Shen Yun carried the essence of these spiritual truths. The music is fantastic, the instruments are fantastic, the performance is … a divine essence of rhythm.